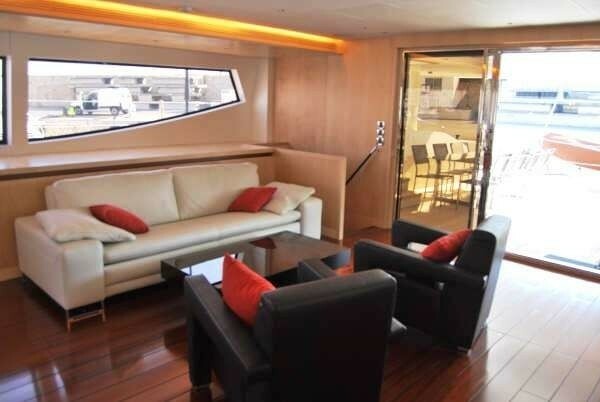 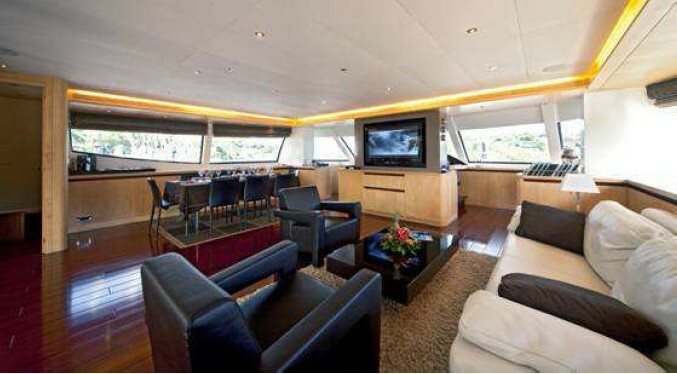 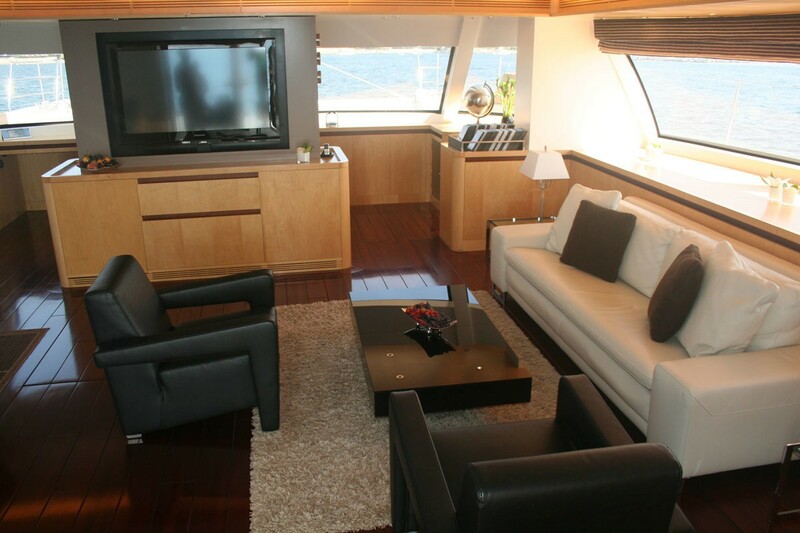 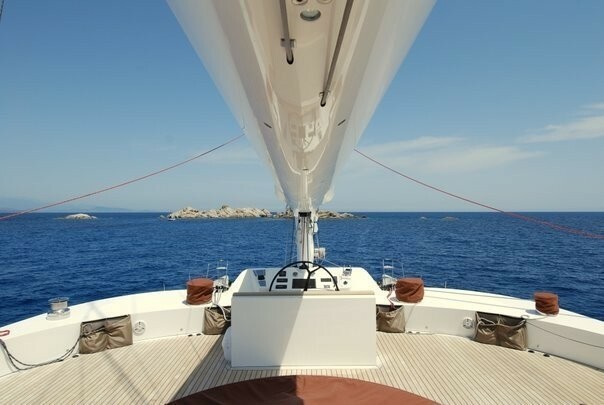 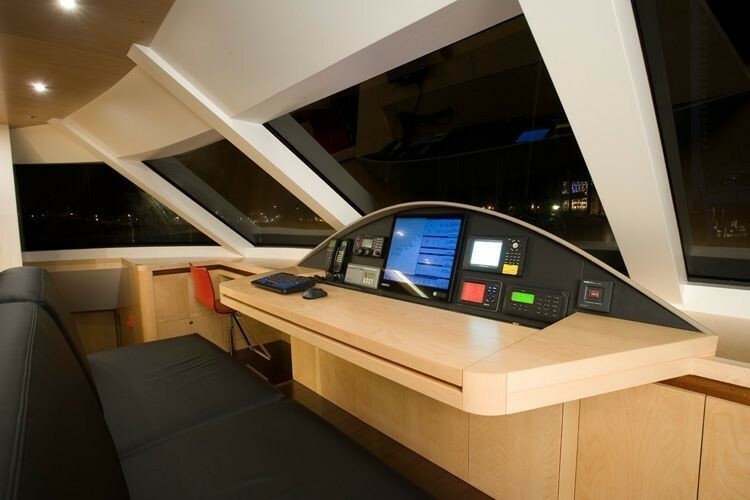 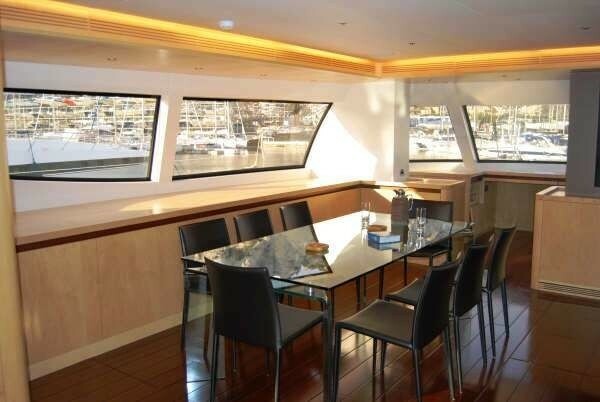 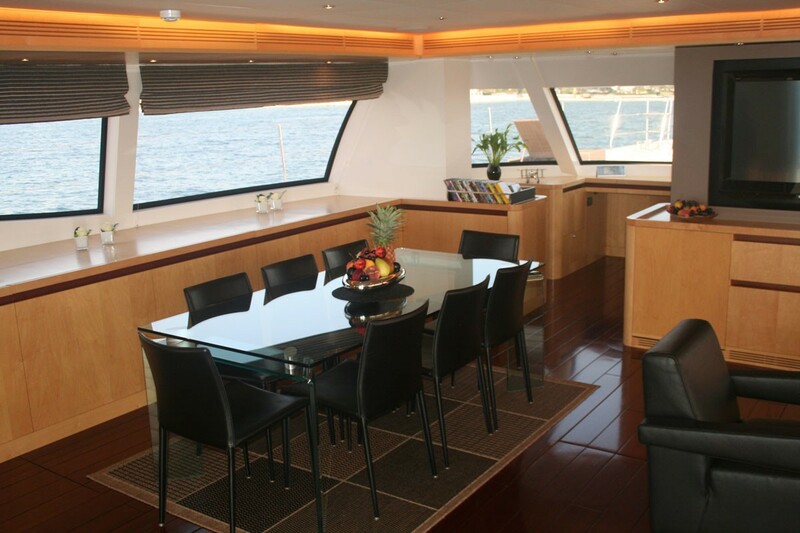 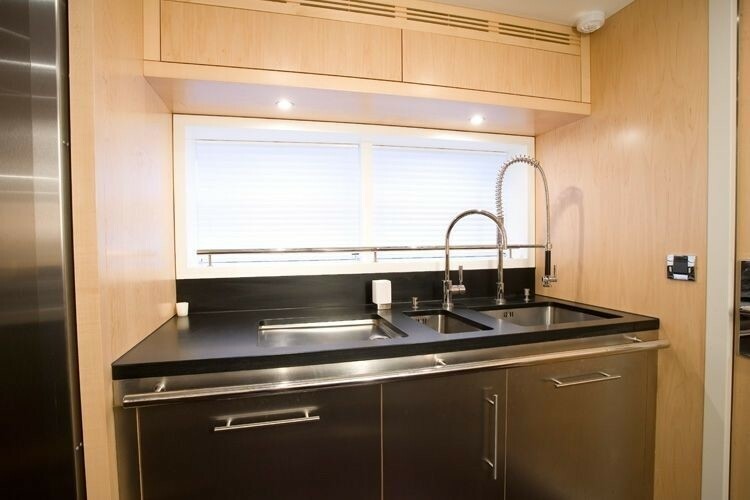 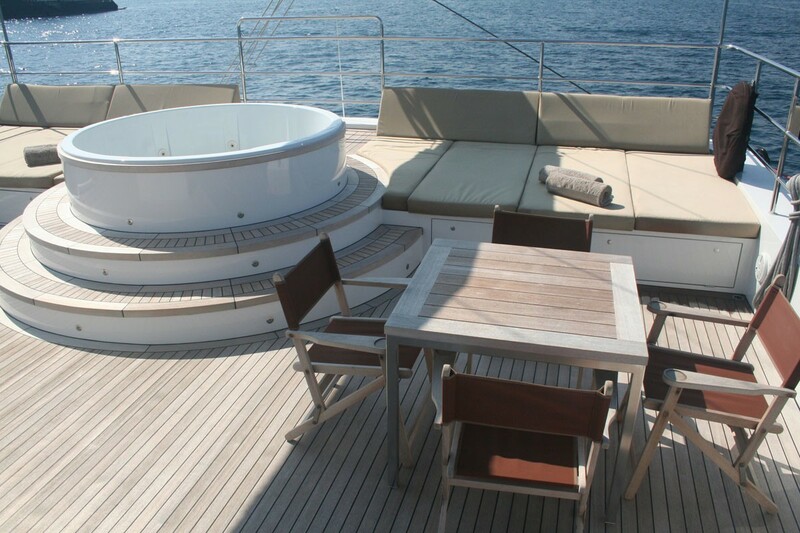 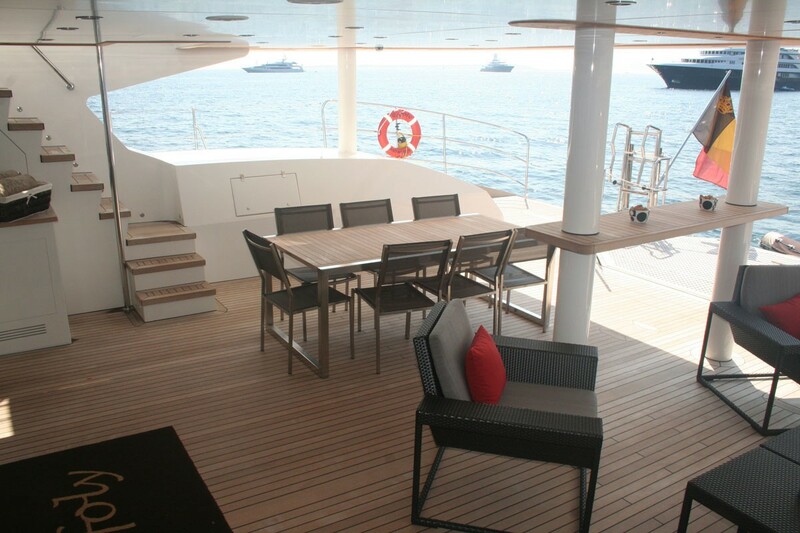 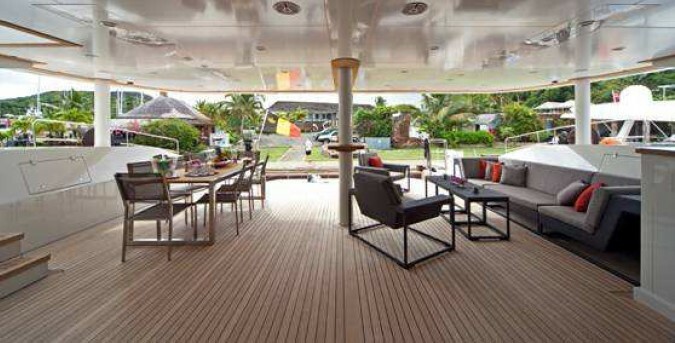 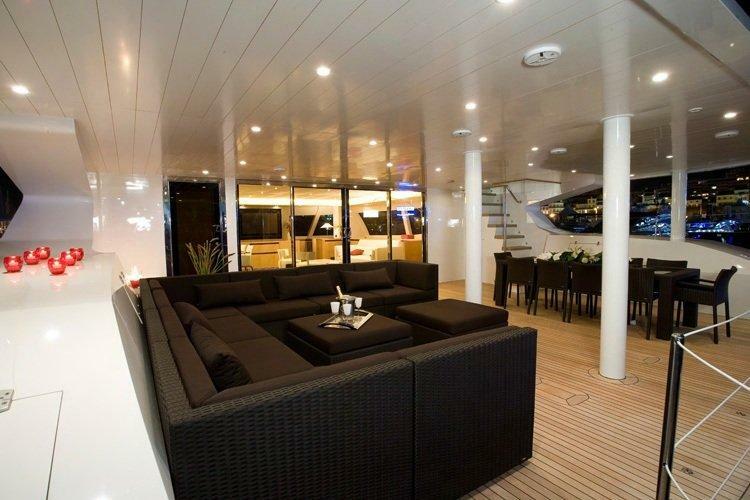 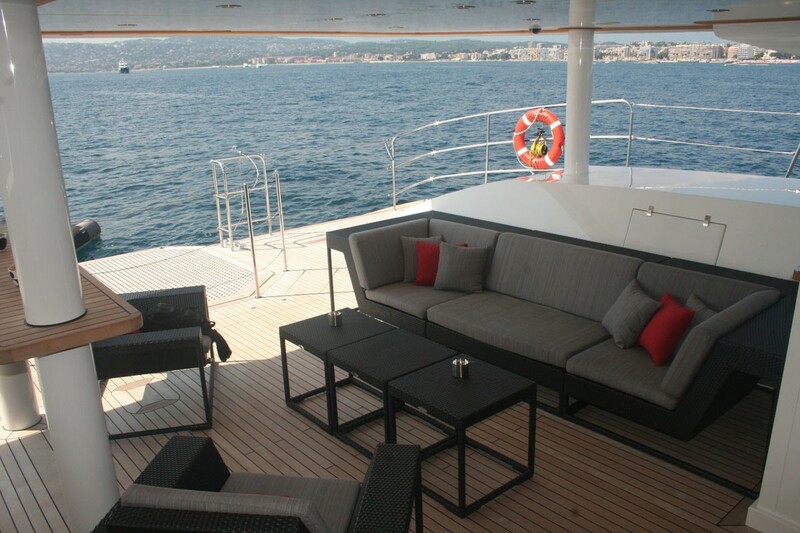 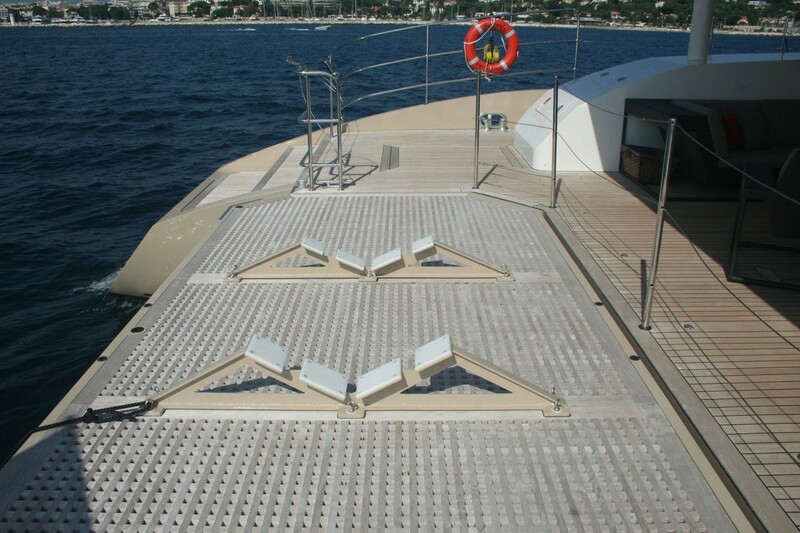 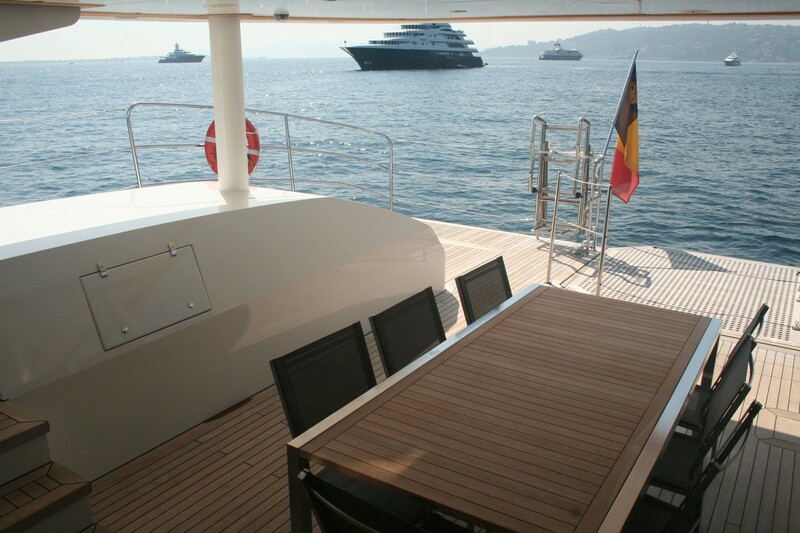 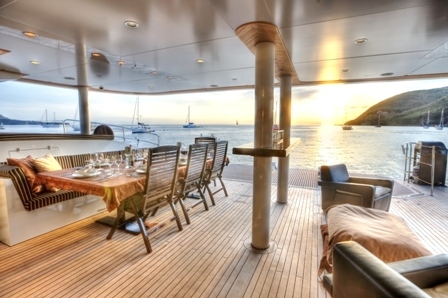 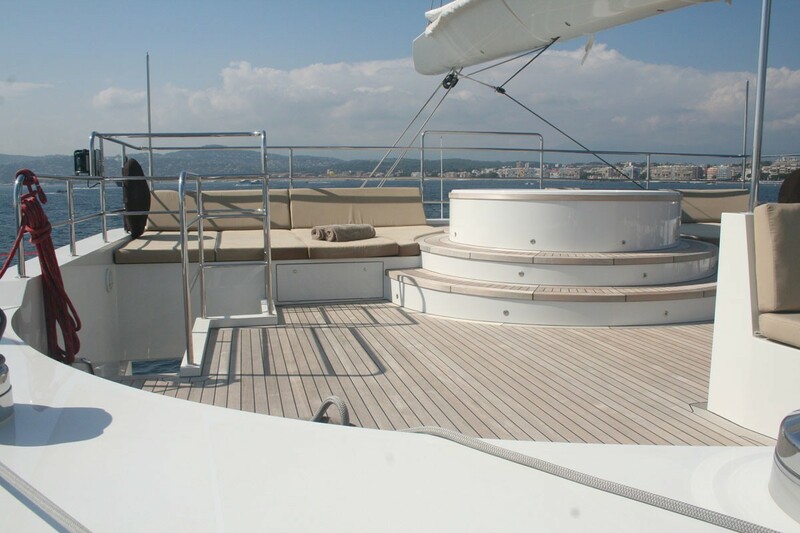 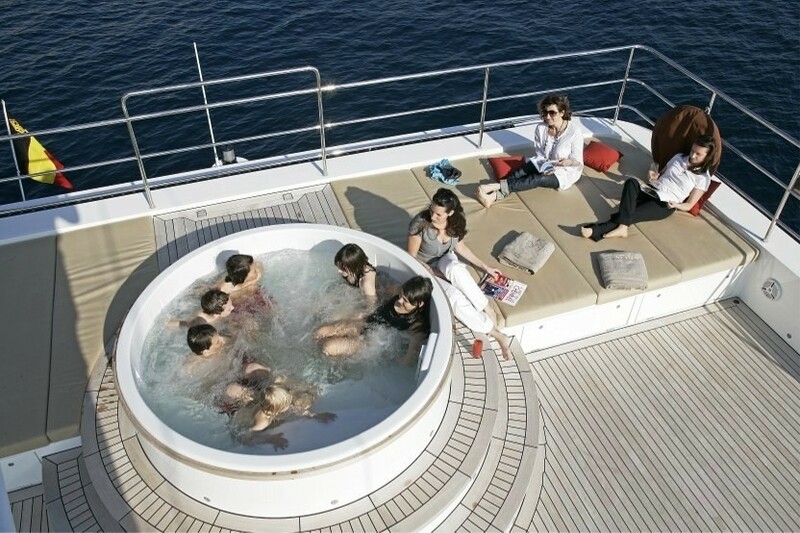 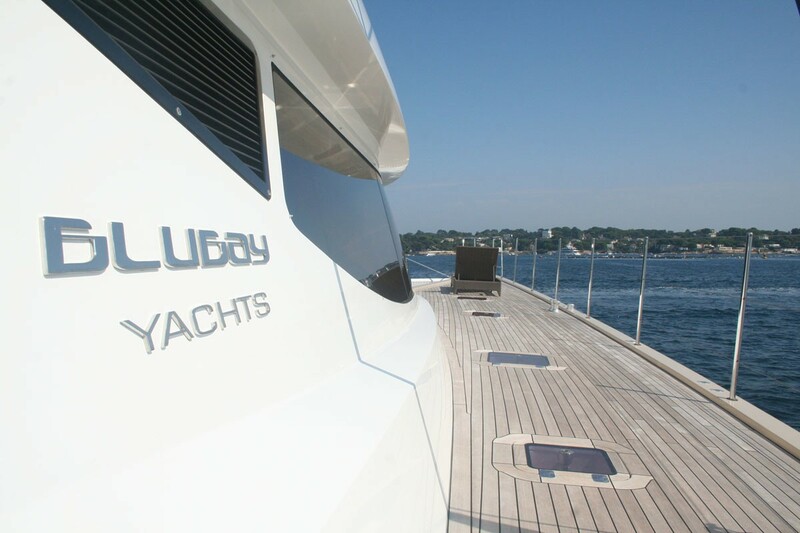 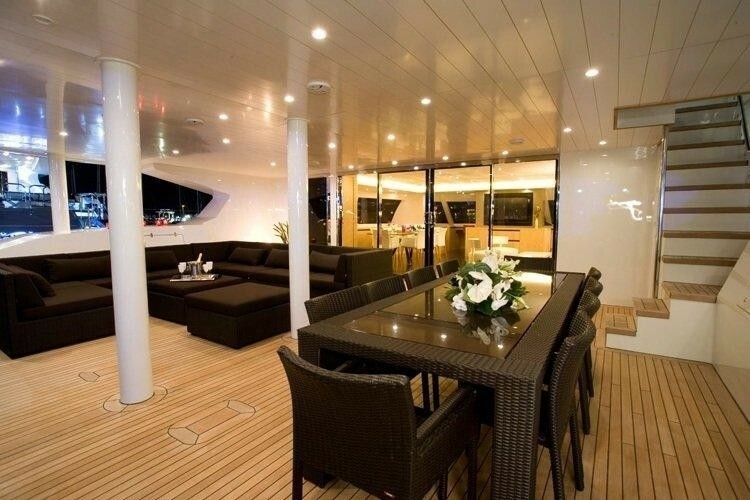 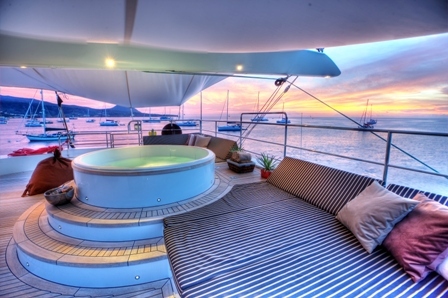 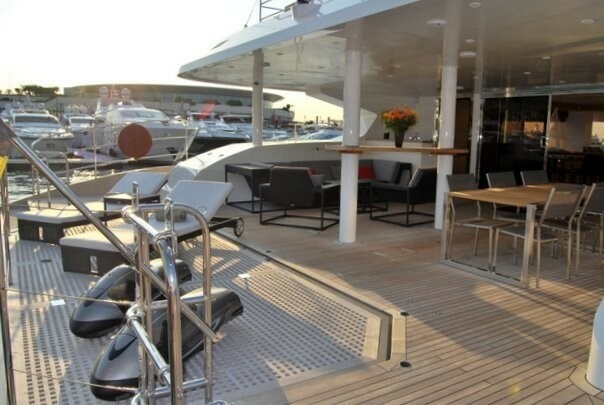 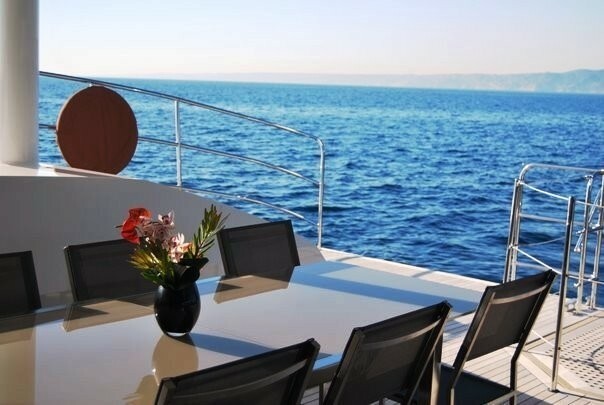 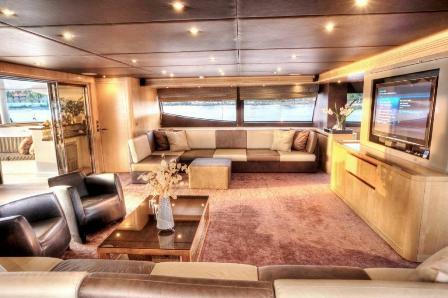 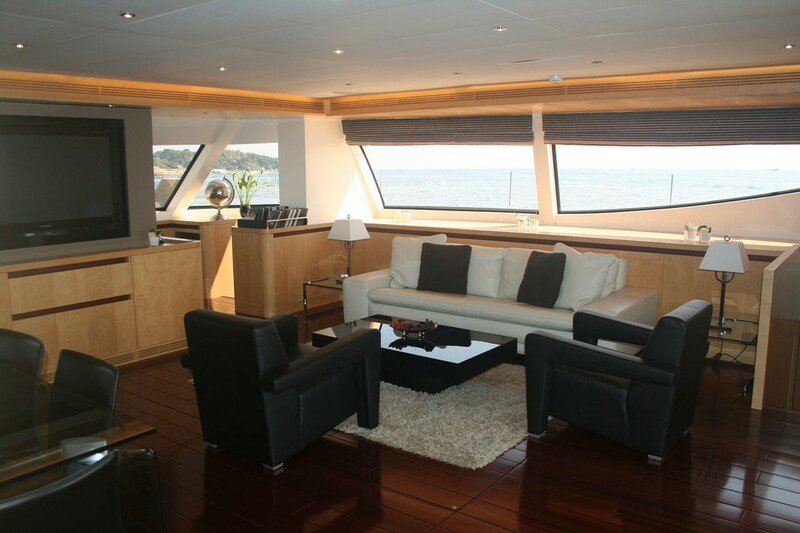 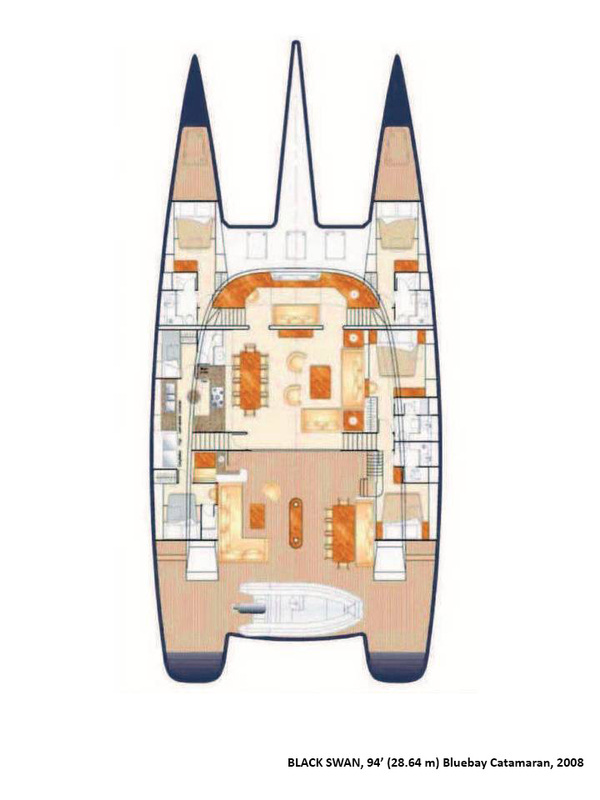 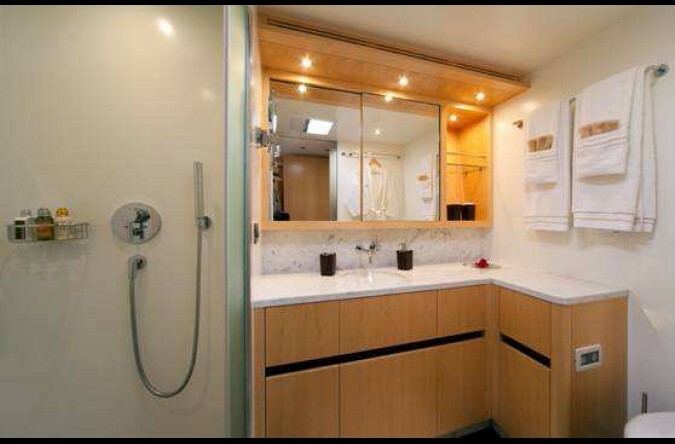 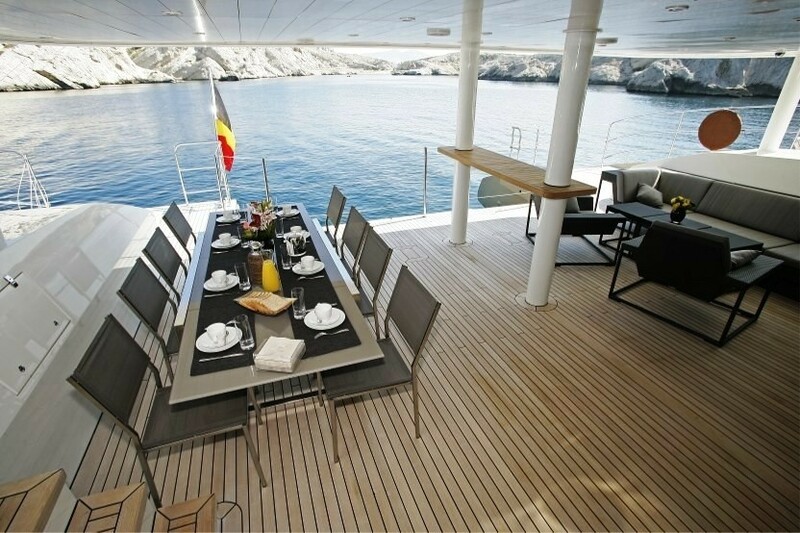 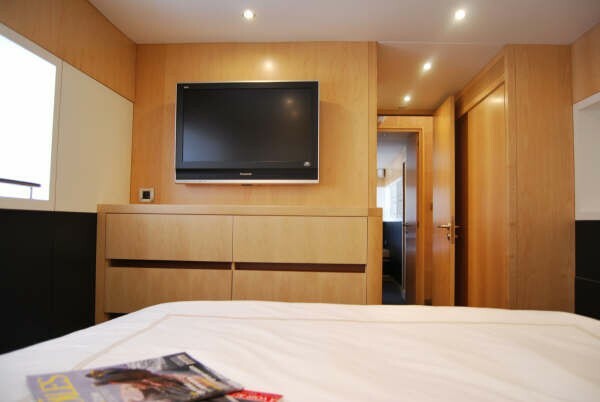 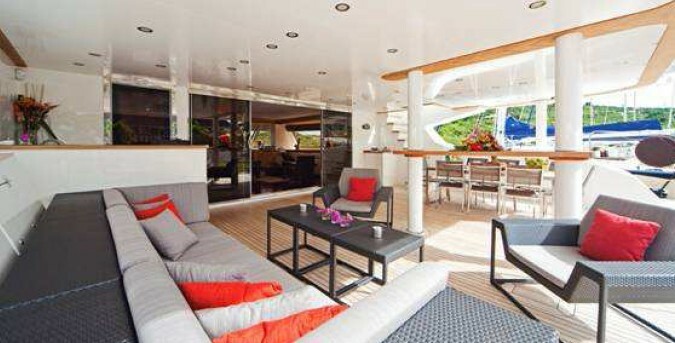 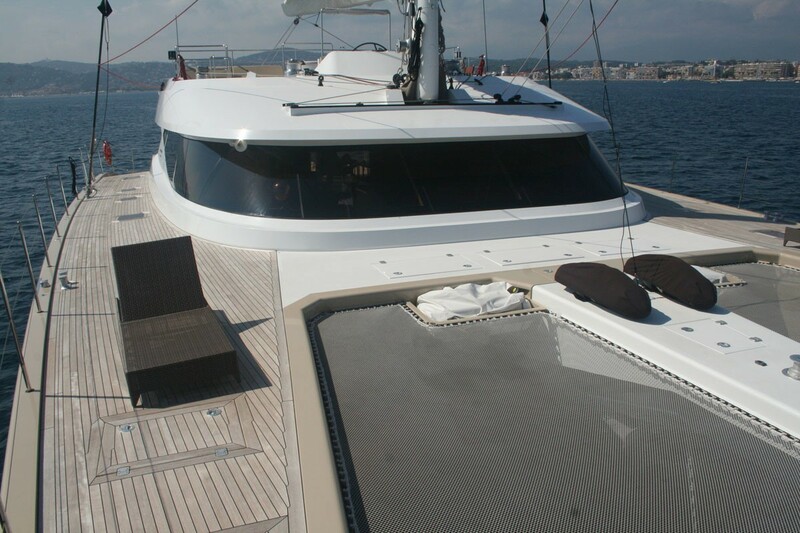 BLACK SWAN’s aft exterior saloon is a large shaded terrace with an unobstructed view forward and aft. 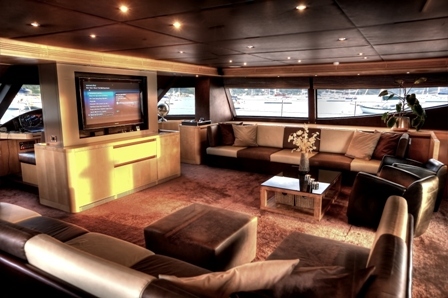 An automatic sliding door integrates exterior settee with interior arrangement into a great social gathering area. 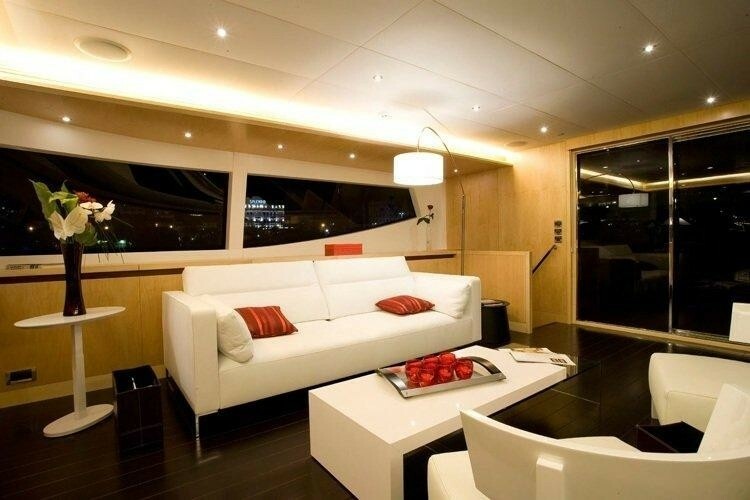 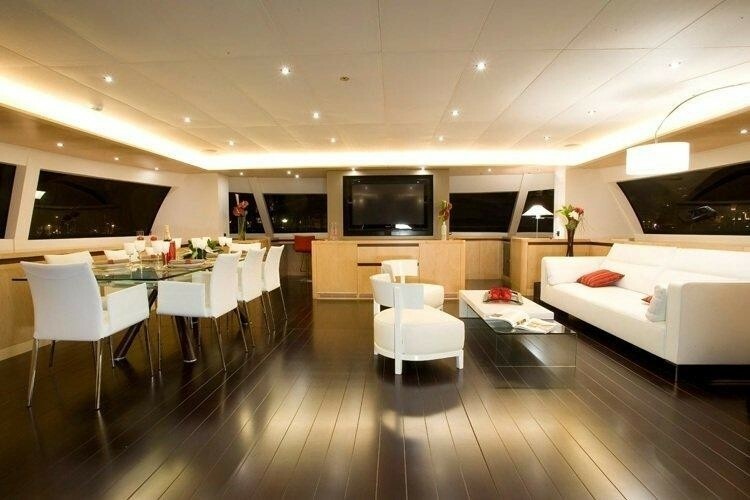 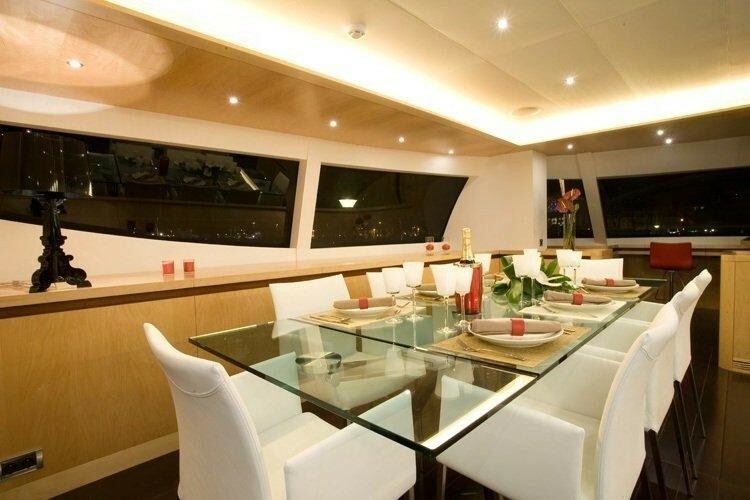 The BLACK SWAN yacht’s interior furniture was designed to the highest standard of comfort and luxury, using lightweight material and state of the art craftsmanship. 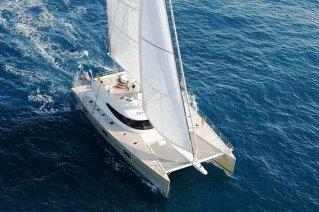 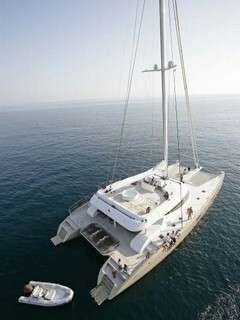 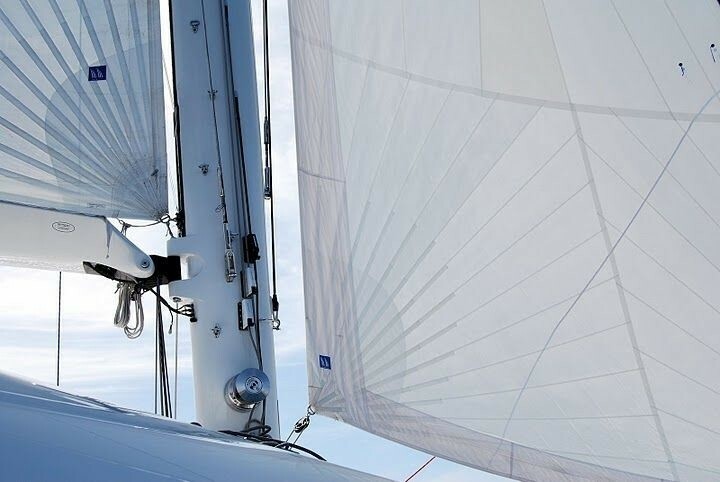 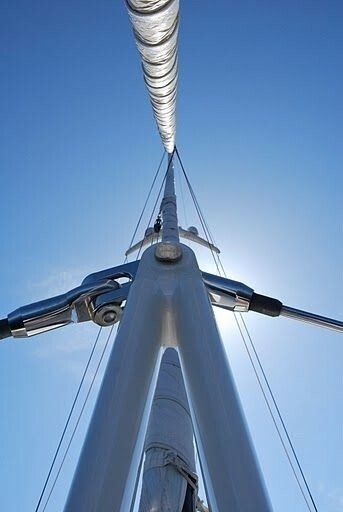 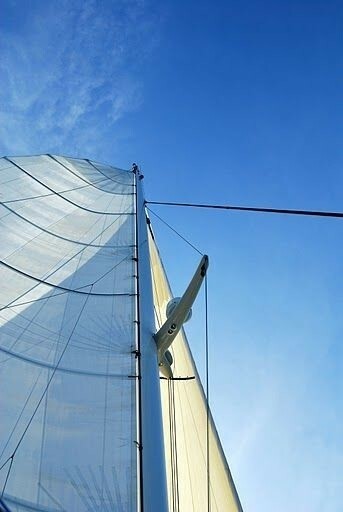 BLACK SWAN features a very simple sail plan with a full battened main sail and an automatic furling self-taking jib. 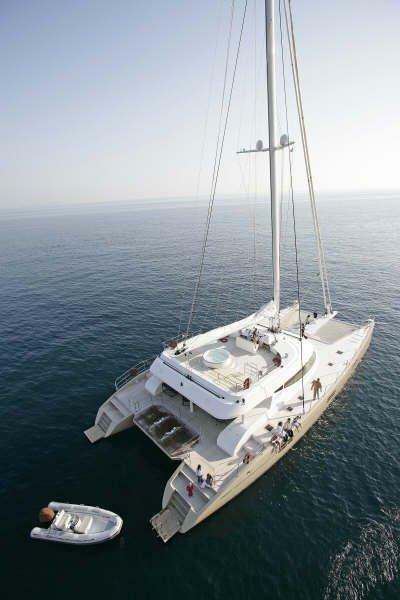 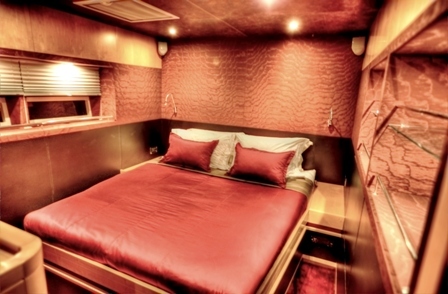 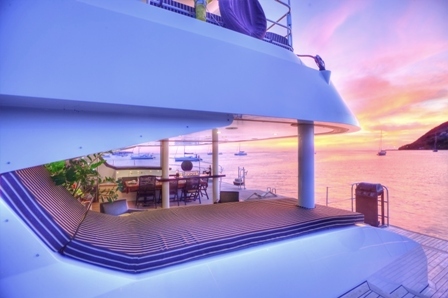 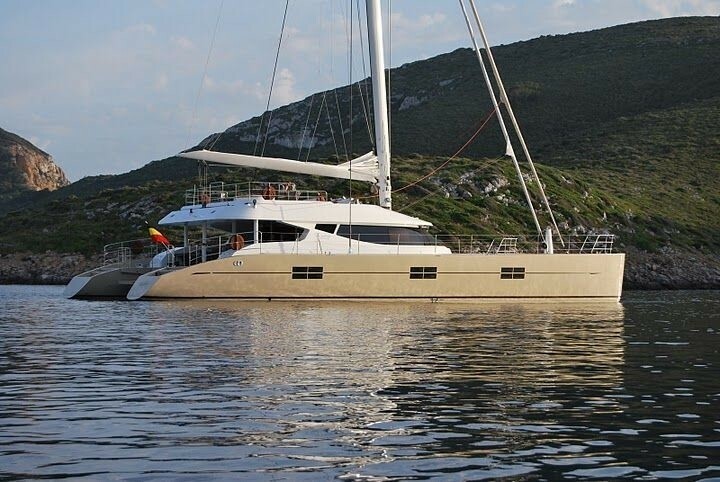 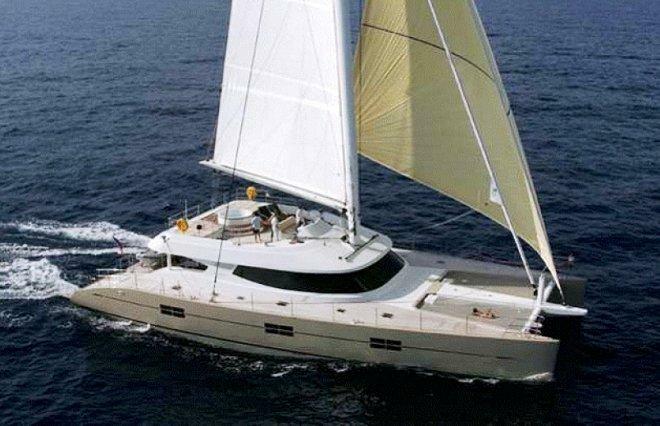 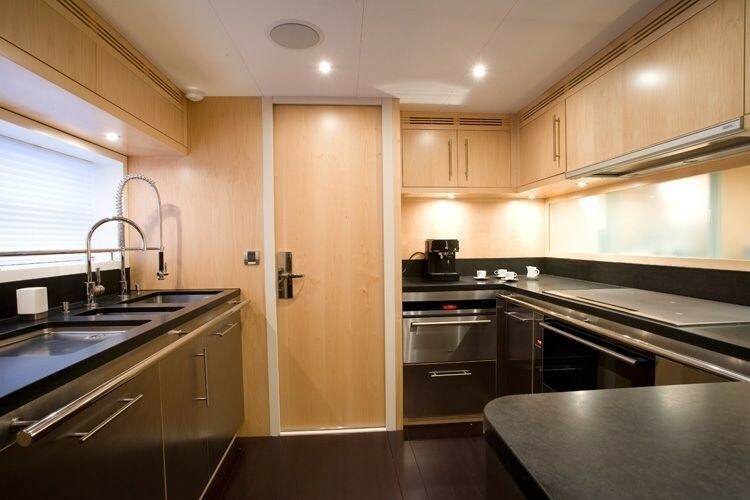 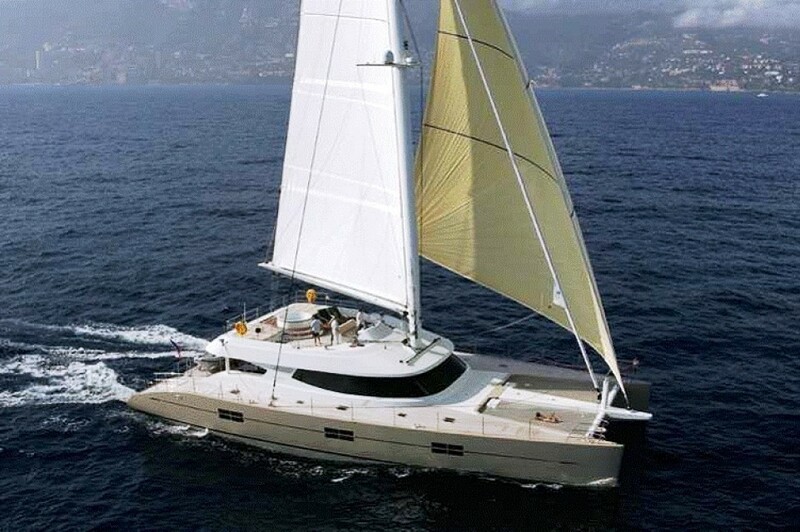 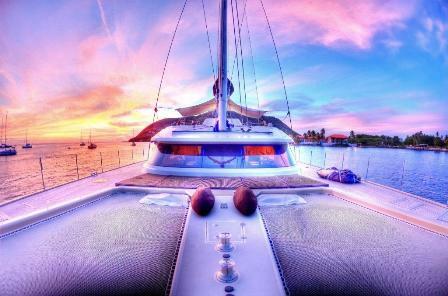 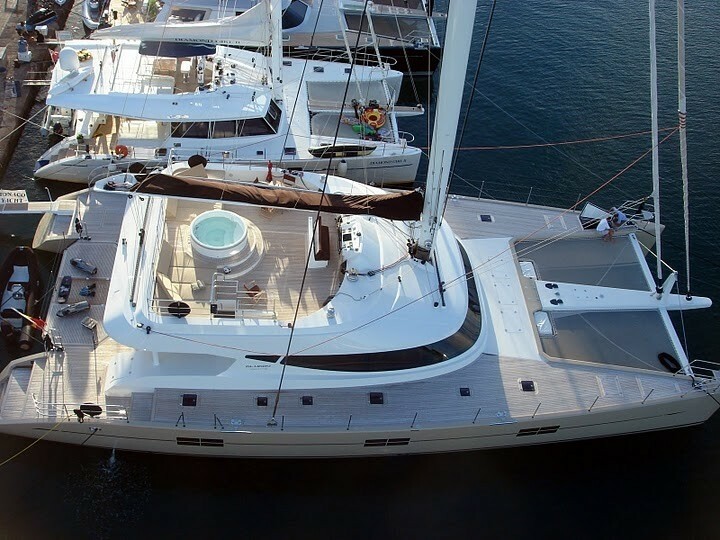 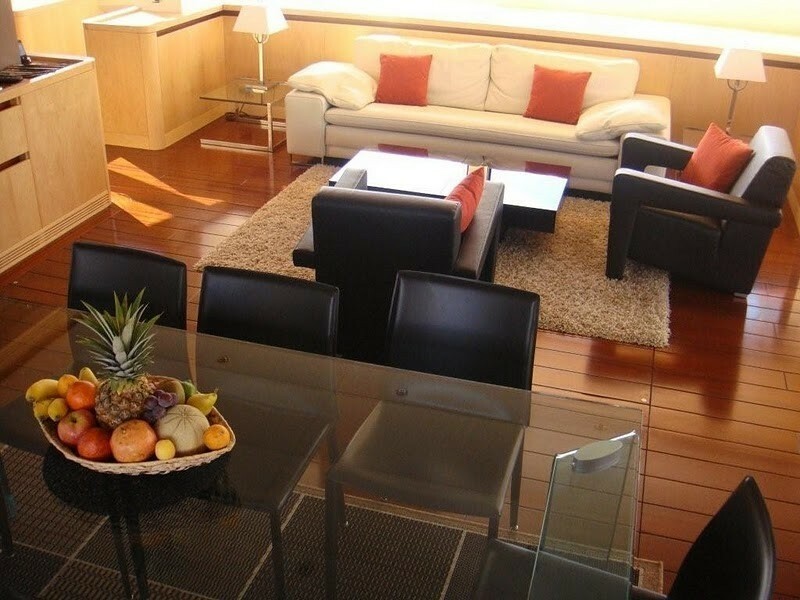 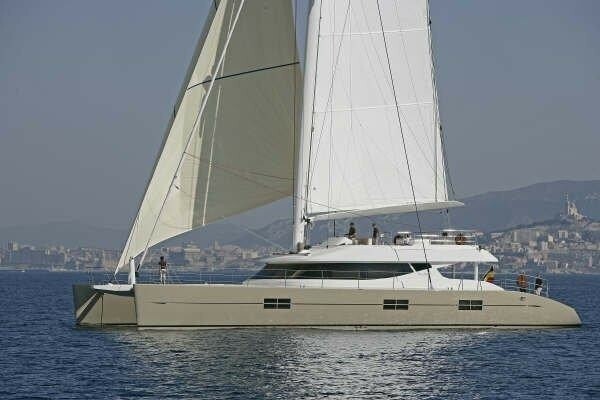 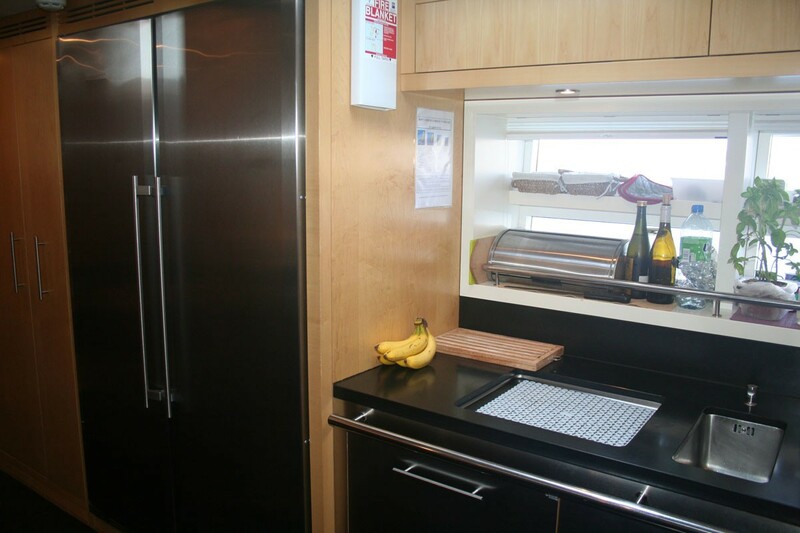 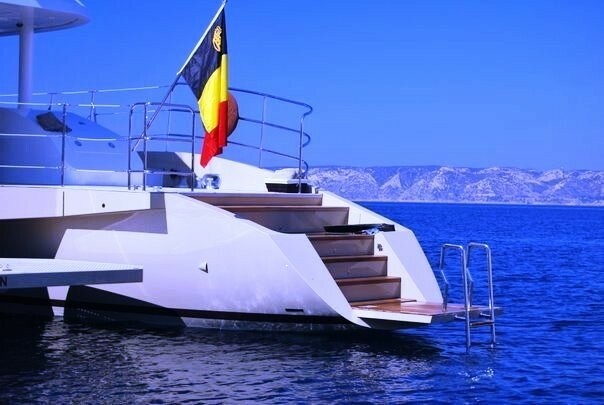 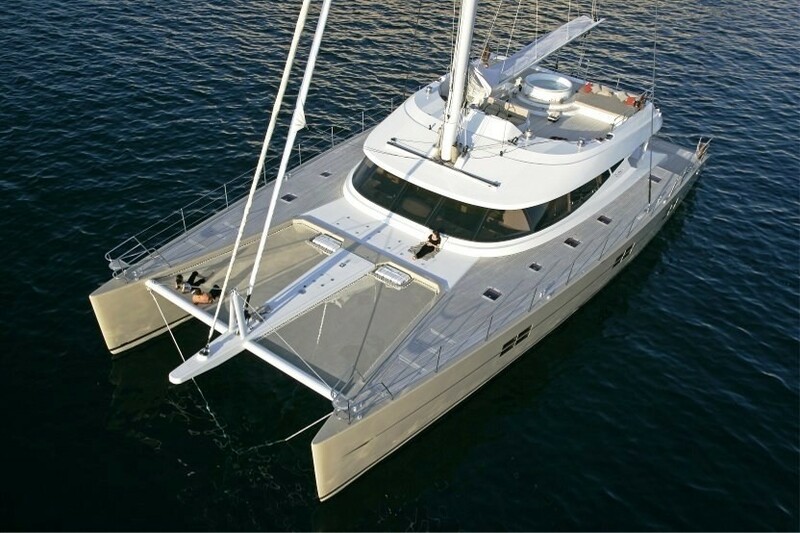 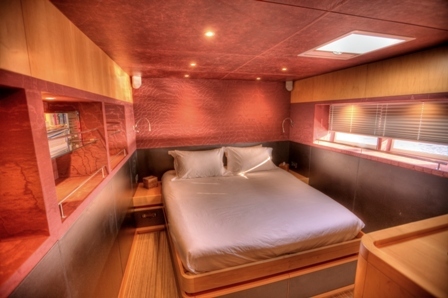 Luxury catamaran BLACK SWAN offers 2 Double, 2 Twin cabins accommodating a maximum number of 8 yacht charter guest overnight - and up to 12 when sailing. 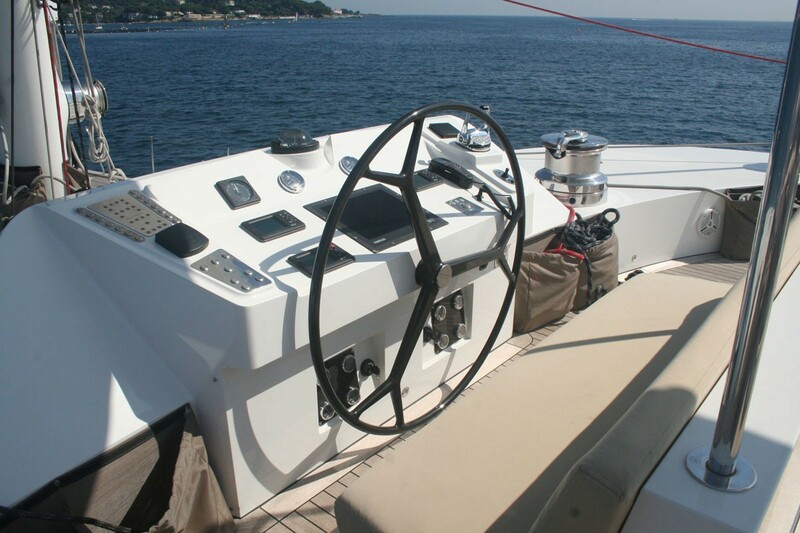 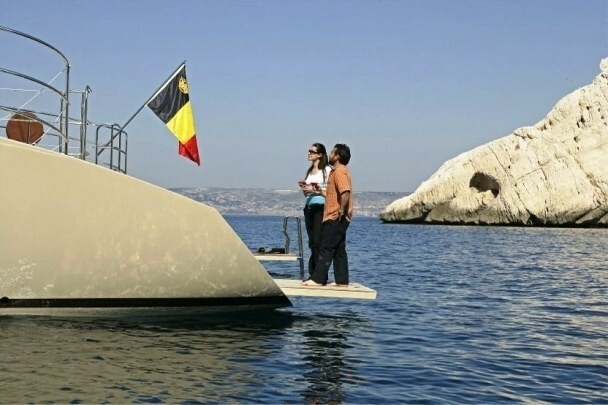 Sailing catamaran BLACK SWAN has the following Tenders + toys: 16' tender with 80hp motor, Monoski, Donuts, 2) top-of-the-line Seabobs, Wakeboard, Snorkeling equipment, Fishing equipment, Diving: Rendezvous diving only.